BaseballOakland is the work of a group of dedicated longtime A’s fans. Our goals are to spread news and information regarding keeping the A’s in Oakland, but also to foster more community involvement by being part of the social framework of Oakland and the Greater East Bay community. Why Keep the A’s in Oakland? 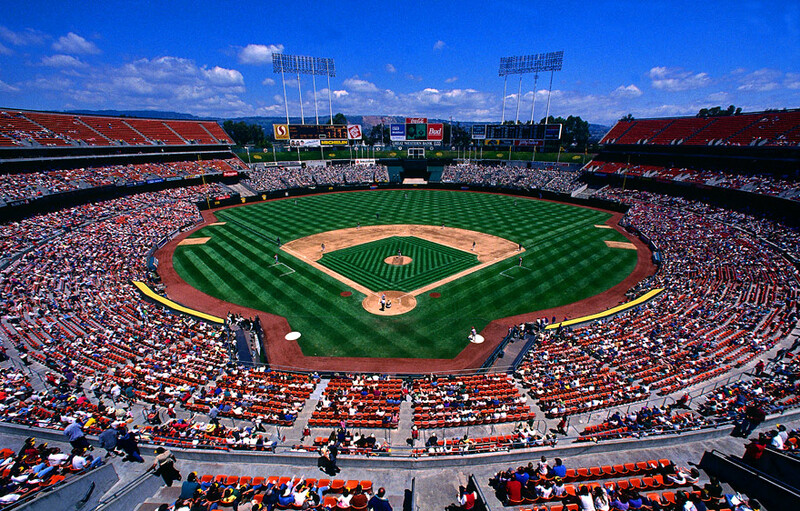 Oakland has a proud history of professional baseball going back to the 19th century. Keeping this legacy alive is important for Oaklanders, and it also would be beneficial to the A’s organization. Why yet another Oakland blog? While Oakland is one of the leaders in social and political blogging, the issue of the Oakland Athletics is one that keeps coming up in the news. We feel that it is important to delve into the issue in more detail and to keep A’s fans and the public as informed as possible. Why do you think Oakland can support the A’s? Despite the economic downturn, Oakland continues to have a renaissance. New business, bars and restaurants are opening up all the time and people are figuring out what we have known for years: Oakland is a desirable place to live, work and play. If the A’s were to embrace Oakland’s newfound popularity and surging economic scene, we believe that it would catapult the A’s to much-improved financial success. Not only is Oakland itself going through positive changes, but its central location to the Bay Area, while offering a wide variety of local and regional transportation options, makes Oakland the perfect spot in Northern California for the A’s. By staying in the city they’ve called home since 1968, the A’s can draw fans and corporate dollars from not only Alameda and Contra Costa counties, but also from San Francisco, the North Bay, the Peninsula and even Silicon Valley and Sacramento areas. Hasn’t Lew Wolff already tried to make it work in Oakland? No, he has not. Wolff spent years in Fremont before that plan imploded, and now he’s focusing on San Jose. In 2005, Wolff announced a plan in East Oakland, but it called for the removal of more than 100 businesses, and Wolff spent very little time pursuing the idea before he turned his attention to Fremont. To this day, Wolff has never attended an Oakland City Council meeting, despite making many appearances in Fremont and the South Bay. What Oakland sites are available for a new stadium? In coordination with Major League Baseball and its three-person committee designed to study the A’s stadium options, Oakland officials have revealed three viable sites near Jack London Square that are very workable with a willing partner. The three waterfront sites are called Howard Terminal (north of Jack London Square), Victory Court (just south of Jack London Square, near the Oakland Fire Department training facility) and Jack London North (nestled between Jack London Square and BART tracks along 5th Street). The next step for the city would be to work with A’s owners and MLB on picking a site and acquiring the land. Has anyone ever thought of building a new stadium at the Sears site downtown. The Sears building, the old I magnin, and the surrounding parking lots would be a great spot for a new stadium. Right off the 19th street Bart station and new and upcoming restaurants and clubs would make this a perfect location. Also no wind in this area. Having a ballpark in this area would totally bring downtown Oakland back. I see a soma type setting in Oaktown. How about building a small cozy baseball only stadium near the lake where Fairyland currently is?